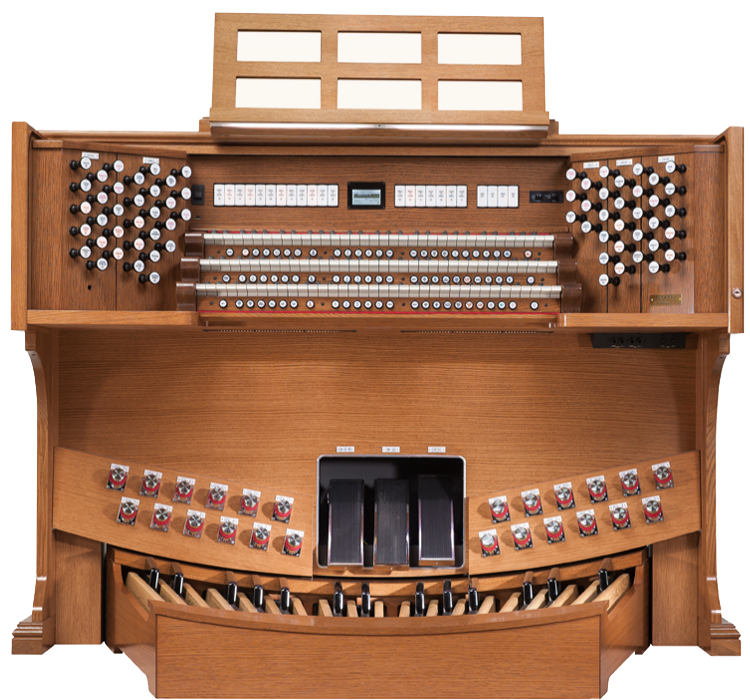 Whether you’re looking for a small digital home organ, replacing your church’s pipe organ, or making an organ selection for a landmark concert hall, Rodgers has the perfect instrument for your venue, budget and unique needs. 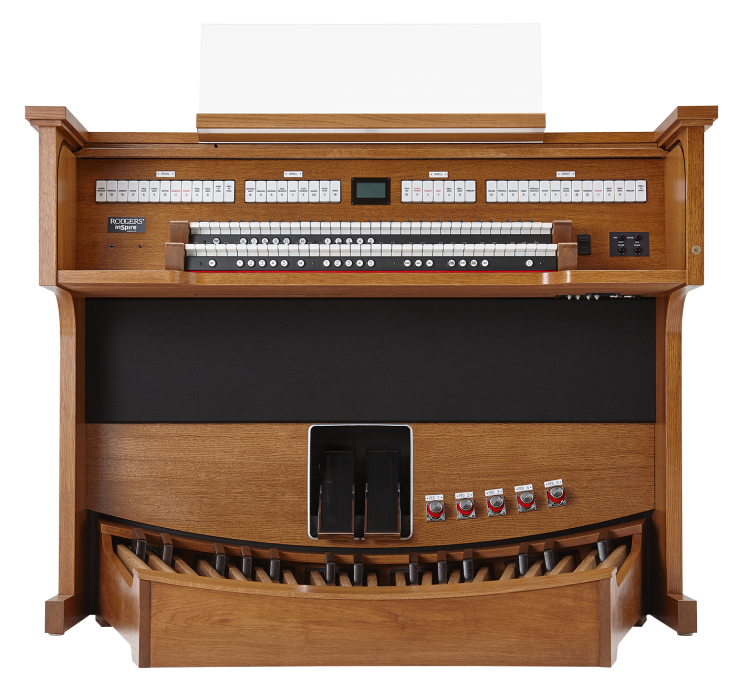 Each Rodgers model offers an expansive range of voices and delivers the same finely textured sounds of great pipe organs. 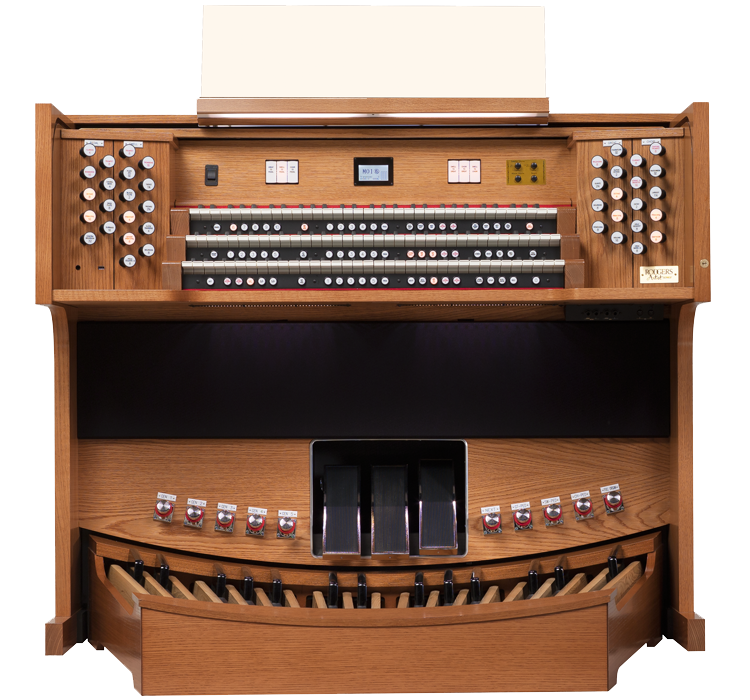 Our rich, multi-dimensional sound quality elevates every performance with lasting sustain that effortlessly guides the voice of the congregation to new heights of inspiration. 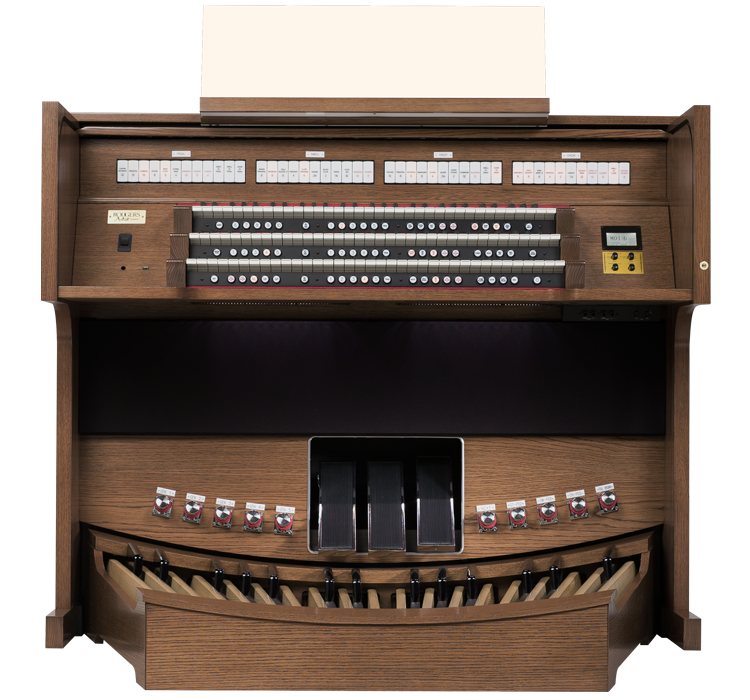 The pinnacle of realism and flexibility. 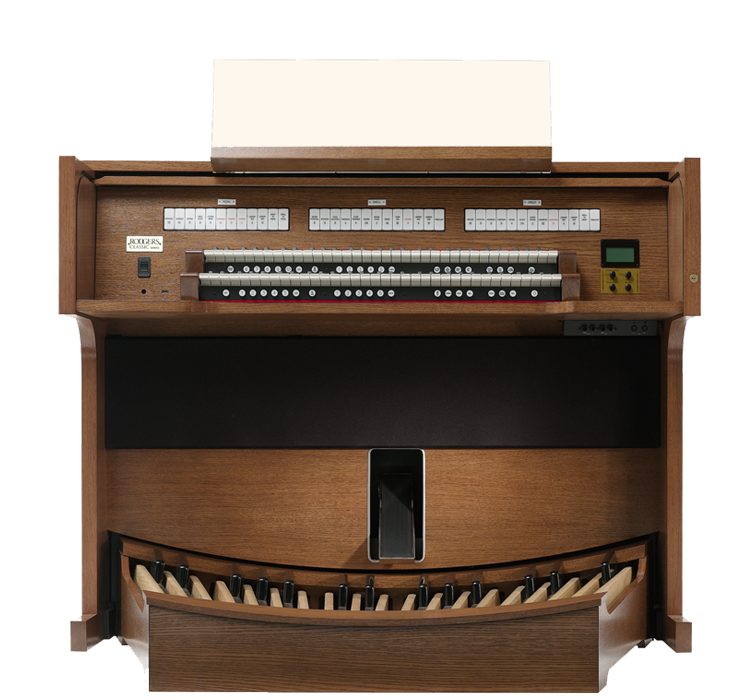 Rodgers Infinity Series faithfully delivers the expressive and dynamic sound of the traditional pipe organ with realism unmatched by any other digital organ available. 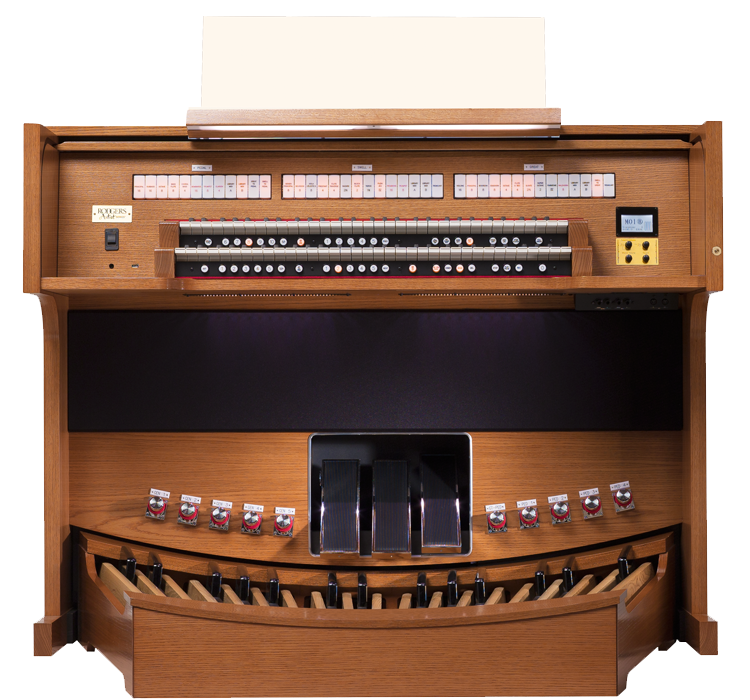 Ideal for even the largest venues, Infinity Series organs are available in 3 and 4 manuals with up to 84 engraved stops and select sounds from up to 179 different Voice Palette™ alternative voices. 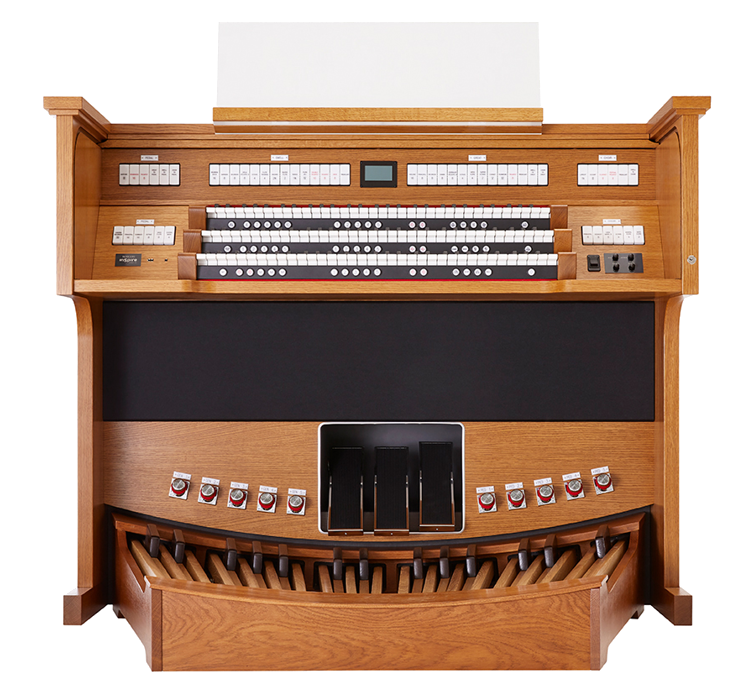 Premium console features, at no additional cost, include an adjustable storage bench, a 4-way adjustable music desk, Bluetooth® technology and a USB power port. 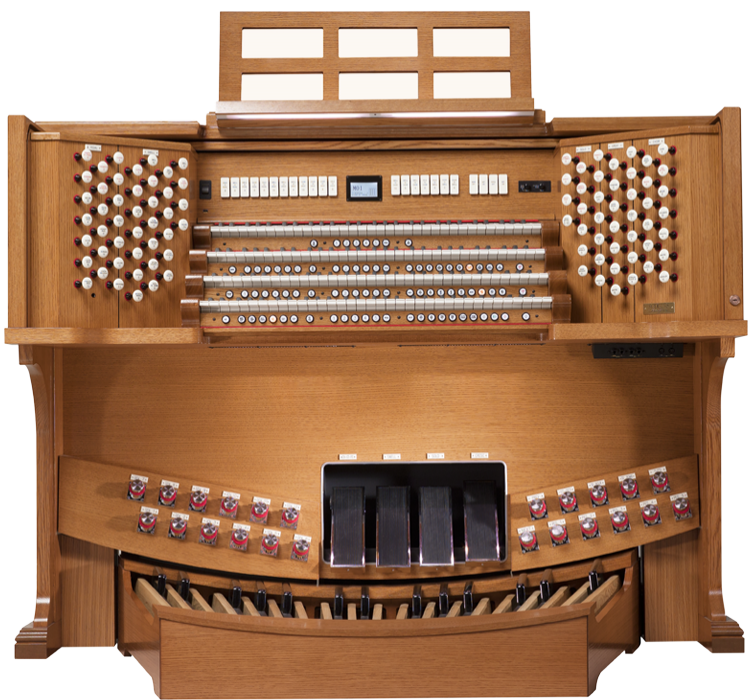 Beautiful tone to inspire and uplift. 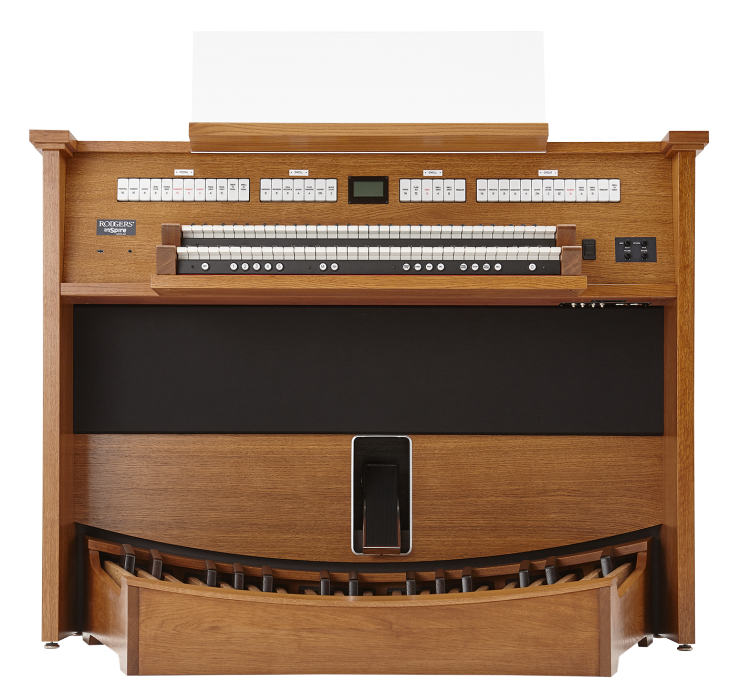 Rodgers Artist Series offers rich tonal color with user-friendly flexibility, exceptional pipe organ sound, and exquisite craftsmanship with a variety of hardwood veneers. 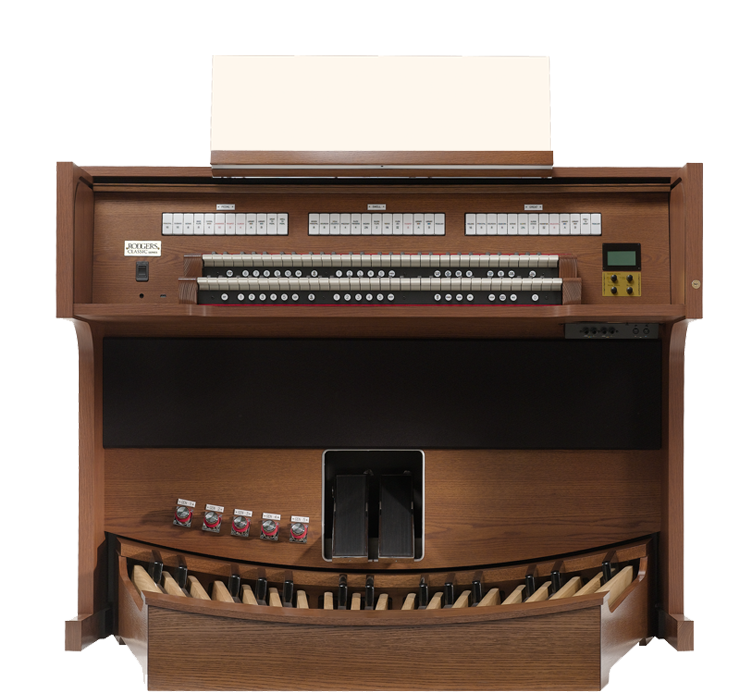 The perfect choice for the perfectionist performer, Artist Series organs are available in 2 and 3 manuals with up to 39 engraved stops and select sounds from up to 117 different Voice Palette™ alternative voices.